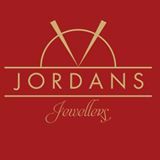 We had a call the other day from our local retailer, the very fabulous Jordans Jewellers in Dorchester, who had just sold a Rebecca watch on a blue strap. Now, there’s nothing particularly unusual about that in itself, however, it turns out the customer in question had driven all the way from Plymouth just to try on the watch. For those of you not familiar with the south Dorset / Devon roads, that’s a good two hour drive, not accounting for traffic, roadworks or any of the other many & varied road irritants available to the average motorist during the school summer holidays. Anyway, I digress. She’d seen one of our ads in a magazine, loved the look of the watch and tracked down the only place in the country where she could try it on. Yup, the only place in the country. 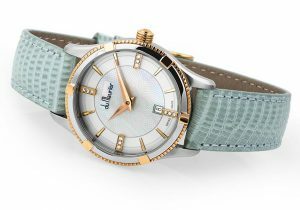 Here at Du Maurier Watches, we often debate whether we should give getting representation in British retailers another pop. When we started out, we, rather naively, assumed we could have a meeting or two and, bingo, we might bag some shelf space here & there. So confident were we in our lovely new designs that we would offer sale or return on our watches so there would be no risk to the retailer. What a winner! In the real world, however, we quickly discovered that the vast majority of British retailers will not entertain new, small, family brands regardless of how ‘risk free’ their offerings. Don’t get me wrong, they were all utterly lovely and we had wonderful feedback across the board on our designs, the build quality and the unique Du Maurier story behind the brand. Unfortunately, there were sticking points: our collection was too small and our brand unknown in the watch market. Unless we were an established name with a much larger collection of models, it was a ‘thanks but no thanks’. We were sent away with a cheery and helpful reminder to call again when we’d made a success of it all. Well that’s a bit chicken and egg, we thought. One local independent retailer, however, did show an interest and has now been selling our watches very successfully for nearly three years. Sandy and her team at Jordans remain the only place in the UK where you can try on a Du Maurier watch. So, whilst we have sent our watches to customers all over the world and sell successfully online, the watch that really struck a cord with me was sold to the lovely lady who drove all the way from Plymouth to try it on. She saw it, loved it and, dear reader, she bought it!